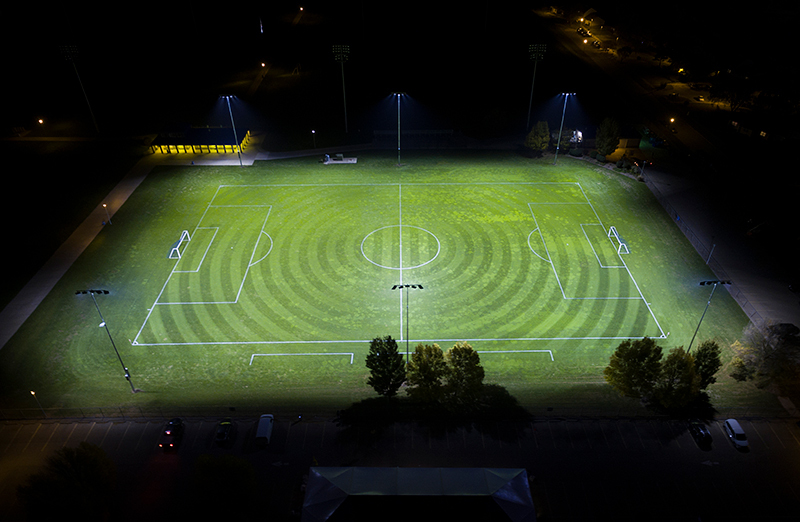 Welcoming approximately 100,000 visitors annually, Muscatine’s Kent Stein Park is a multiple-field, multi-sport park that hosts regional and even national tournaments. 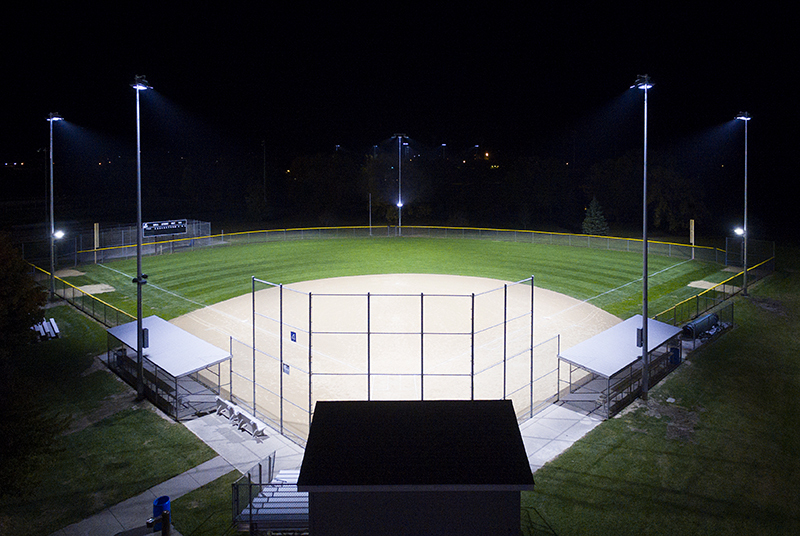 With baseball, softball, and soccer fields, Kent Stein needed a lighting solution versatile enough to meet the distinct on-field lighting needs of different sports, while also reducing off-site glare and spill to ensure the preservation of darkness around the park. 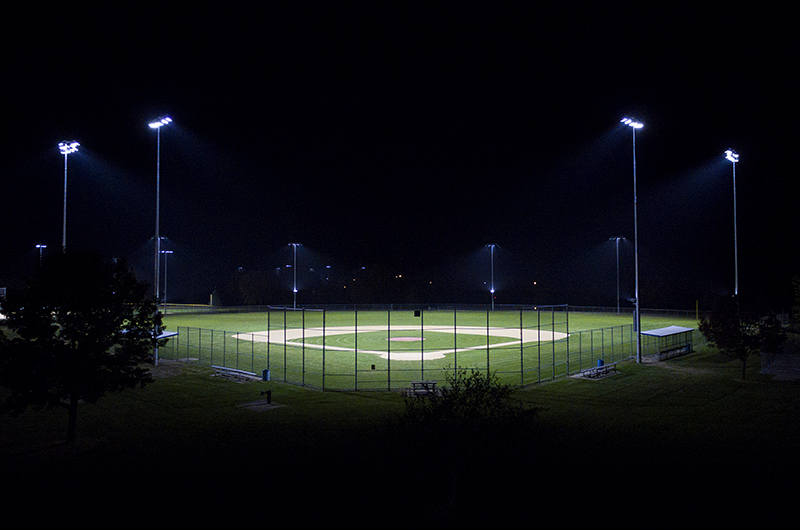 On-Field Light Quality – The new lighting achieves 50 horizontal footcandles infield and 30 horizontal footcandles outfield on the baseball and softball fields, and 30 horizontal footcandles on the soccer field. 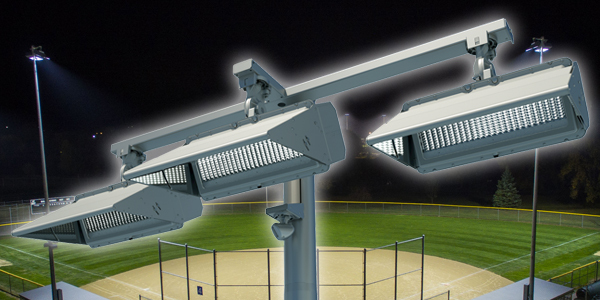 Playability – Musco’s innovative BallTracker™ light management system and five-pole system design enhances player visibility like never before. 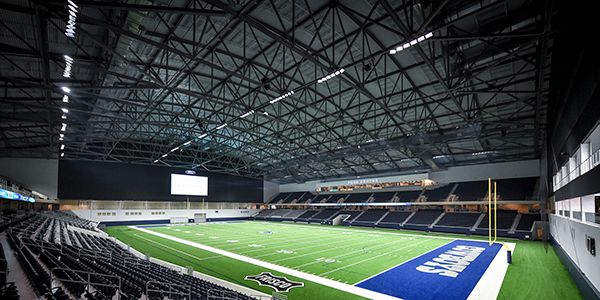 Reliability – Musco’s system-based technology includes lighting, structural, and electrical components designed to work together for lifelong reliability and trouble-free operation. 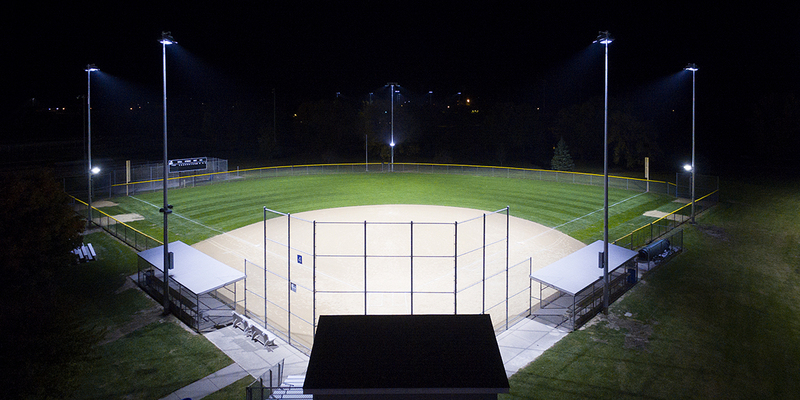 Energy Efficiency – Energy consumption at the softball field has been reduced by 60 percent, at the baseball field by 56 percent, and at the soccer field by 81 percent compared to metal halide equipment. Control-Link® – Our control and monitoring system provides remote scheduling from anywhere with a smartphone app, 24/7 call center, and easy-to-use website. 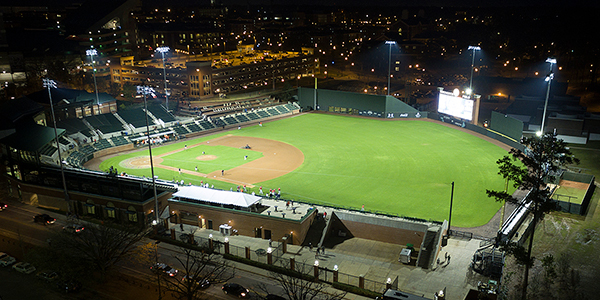 The new TLC for LED™ lighting is backed by a 25-year warranty covering parts and labor, relieving park operators of maintenance concerns and costs.